Christine Radziewicz, DA is the director of the School for Language and Communication Development (which includes an elementary school on Long Island, New York and a Middle School and High School which are located in Queens, New York), where she oversees educational programming. Her research interests have centered on the development of language in children with and without language learning challenges, and the role of central auditory processing in language and learning development. 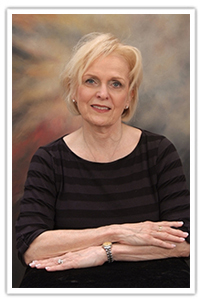 She received her doctoral degree in speech and language pathology from Adelphi University, where she became a professor and clinical director of the Hy Weinberg Center for Communication Disorders. 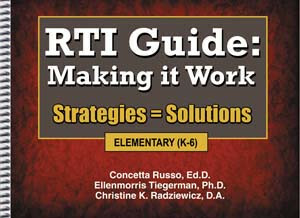 In addition to co-authoring the book, RTI Guide: Making it Work...Strategies and Solutions, published by National Professional Resources, Inc./Dude Publishing, Christine has co-authored two other books with her friend and colleague, Dr. Ellenmorris Tiegerman: Collaborative Decision Making: The Pathway to Inclusion, and Language Disorders in Children: Real Families, Real Issues, and Real Interventions. She also authored several chapters in Language and Communication Intervention, and Language and Communication Disorders in Children.